The most suitable makeup for spring and summer time may be the bronze makeup. Yes ladies, this is the right makeup both for day and night looks and since we are always here for you to give you some great makeup tips and tutorials, today, we are bringing to you several Bronze Makeup Tutorials + Celebrity Looks To Get Inspired From. The bronze shadow works well for every eye color. You should first apply a medium bronze shadow from lash line to crease and then softly blend the edges. After that, apply the same color underneath the lash line in a thick swipe. 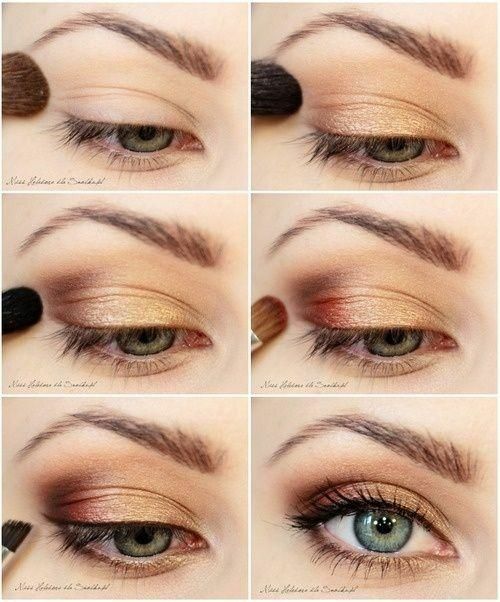 Dampen an eyeliner brush to apply a brown shadow liner and blend upward. Then, use the same brown shadow underneath the lash line in a thin swipe. The next step will be to make your eyes pop by darkening the lash line more with a black shadow liner and blend upward using the same damp brush. Now it is time to add a shimmery shadow, which is a few shades lighter than the bronze one across the lid to soften the look. Outline the existing shadow with a matte brown one starting from the inner corner going all the way around the entire eye. This creates more depth and really plays up the smokiness of the look. Highlight the inner corner of your eye, apply two coats of your favorite mascara and you have the perfect bronze makeup look. Scroll down now to see several step-by-step bronze makeup tutorials and let them be your guide of how to achieve a flawless bronze makeup look. Enjoy! And since the celebrities are the ones that always have the perfect look, we have chosen several of them who have been spotted with a bronze makeup look. Check them out and do not hesitate to try this trendy look as soon as possible. The bronze makeup look is one of the best makeup looks for this time of the year, both for day and night looks and it can look good with any eye color. 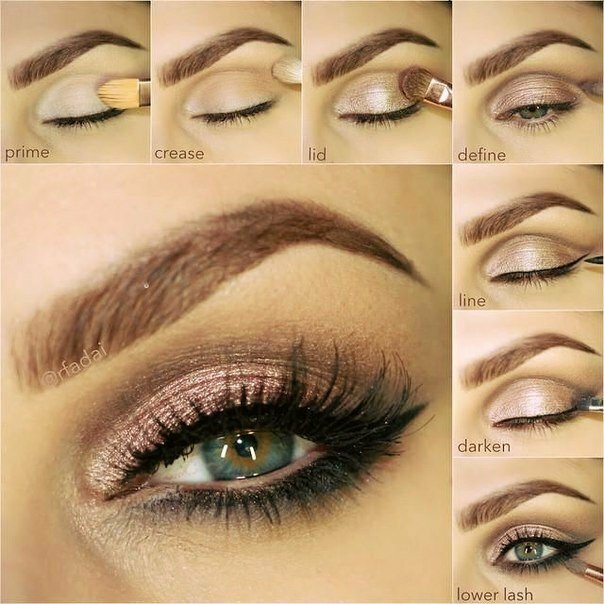 Follow the steps on the above makeup tutorials in order to achieve the flawless look. Thank you for reading and don’t forget to stay up to date with the content of Fashionsy to find many other step-by-step makeup, hair and nail tutorials. Morning Makeup Routine:How To Look Your Best When In A Hurry?